#StayWild Tip: Taste wild elderflowers. Use the flowers to make a refreshing cordial. During The Wildlife Trusts #30DaysWild initiative, I used the 30 Days Wild app to generate random acts of wildness. 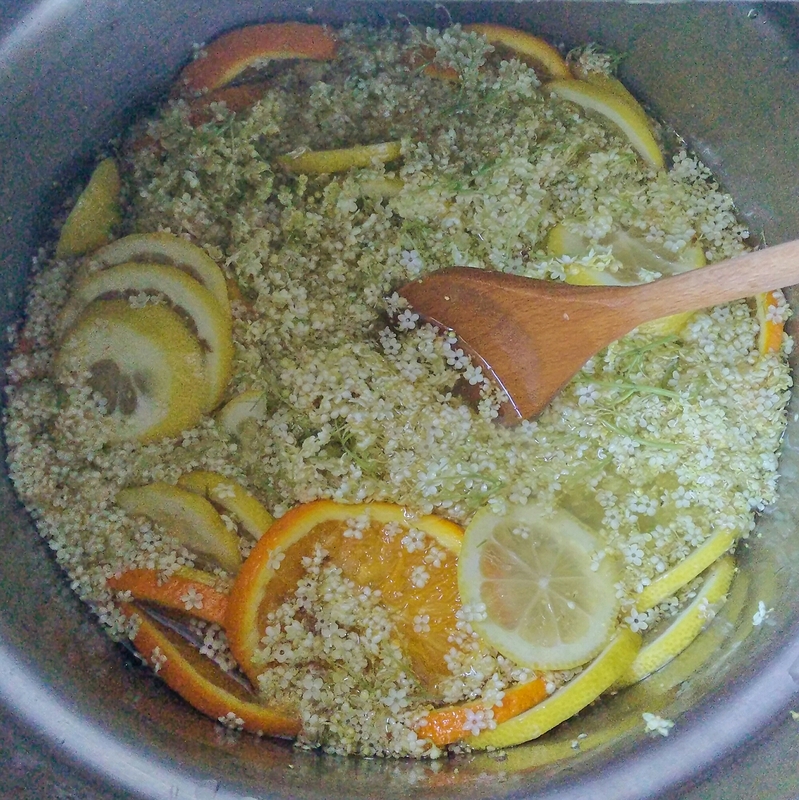 One that kept popping up was the suggestion to try making elderflower cordial, but I didn’t have any elderflowers! Thankfully the Hostel garden has an abundance that are now in full flower, so during my lunch break I grabbed some scissors and began harvesting. I was following a recipe from the BBC website, and managed to collect a good-sized pile of flowers. 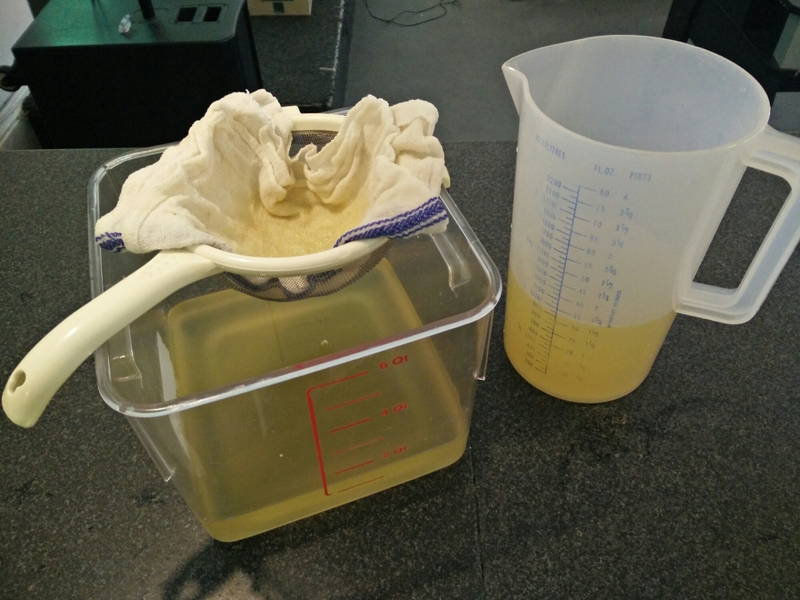 I quickly popped up to the pharmacy to buy some citric acid and was asked “bath bombs or cordial?” It turns out that they sell quite a lot of it, and its always for one of those projects. First into the pot was two whole bags of caster sugar (not so healthy), followed by the citric acid, sliced oranges and lemons (a bit healthier). 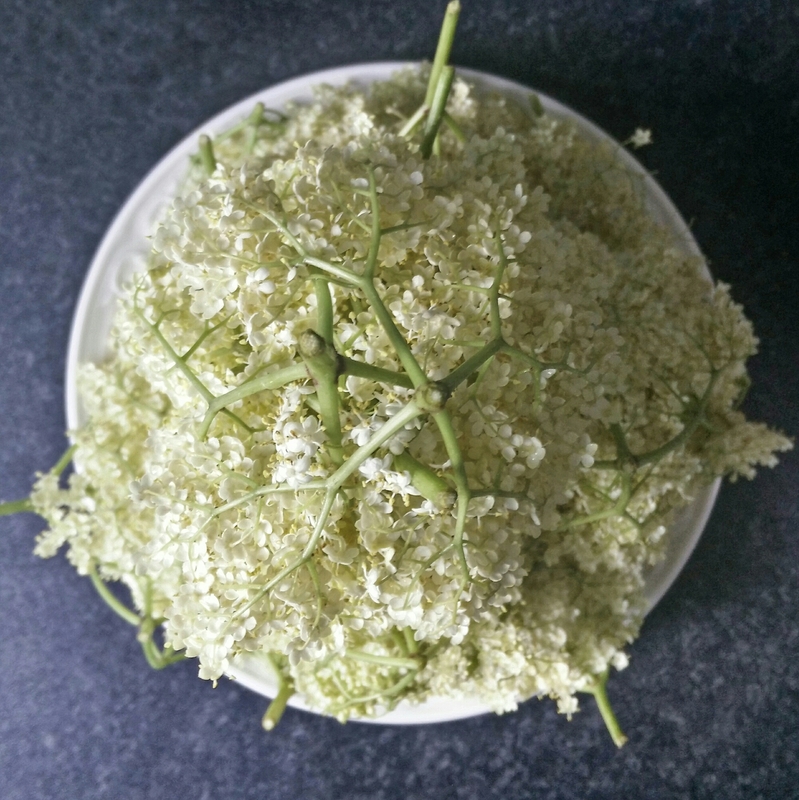 I was about to dump all the elderflowers into the mix when I realised I hadn’t washed them. I took them outside and could see hordes of tiny dark thrips abandoning ship, forming little queues along the sides of the bag. I spent a while squinting at these miniscule creatures before shaking them back into the bushes, then went back in to rinse the flowers before adding them to the cauldron. Have you ever made cordial? Did you use different ingredients? So it’s 24 hours later, and the verdict is… awesome! I must have done something right as the youth club kids are enjoying it – not bad considering their responses; “what, it’s s got flowers in it?”Very refreshing after an afternoon spent playing football and other activities, and a highly recommended activity!